Mayne Gas Heating Ltd - Central Heating Engineer, Plumber based in Prince Albert Gardens, Lincolnshire. 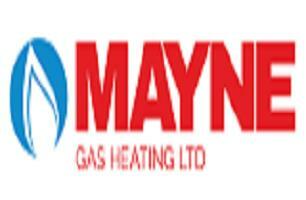 Mayne Gas Heating Ltd are Professional Plumbers and Heating Engineers trading since 2004. We specialise in the Installation, Service and Repair of Domestic & Commercial Natural Gas and LPG boilers, Central Heating and Water Systems including Renewable Energy Technologies. We install Vaillant, Worcester and locally made Ideal Boilers and deliver only the highest standards of workmanship and customer care. We use state of the art customer management software to keep things under control, secure and at our fingertips. We are your local Service Agent for Vokera Boilers, Gazco Fires, Statesman Cookers, Mitsubishi Air Source Heat Pumps and Corgi Homeplan. We are your local experts for Bath, Shower & Wet Room Installation providing a "one stop shop" for all the plumbing, joinery & tiling work necessary to deliver your stunning new home improvement. All minor building works can be taken care of by our experienced team of qualified tradesmen and professionally managed to ensure your project goes exactly to plan and within budget. Our portfolio of superb ablutions, ranging from cost-conscious to high-end suites can be viewed on our website. Call for your free home visit and Bathroom quotation.